We know we've devoted a lot more to the Ready To Run Cup than we have to these epic international events today. yet at a time of a 150 year drought and with good news about as scarce as flying pigs, this was a weekend to celebrate. This year's Summerhill two-year-olds, in terms of their performances so far, rank with the best former graduates of this farm, and by some measures, they may even be the best. David ThiseltonMike Miller celebrated the biggest stakes win of his training career on Saturday when Robbie Hill brought home the Kahal filly, SMANGALISO, to win the R1,25 million Emperor’s Palace Ready To Run Cup over 1400m at Turffontein. The Summerveld yard is riding high this year. They won their first ever Grade I race on Vodacom Durban July day with Outcome (Muhtafal), who won the Garden Province Stakes, and on Friday night the very promising three-year-old Parade Leader colt, Monterey Boulevard, ran a fine third in the Listed KZN Guineas Trial in just his second visit to the racecourse. He added that Smangaliso had come out of the race very well. She was on her way back from Johannesburg yesterday with El Padrino (Muhtafal) and four horses that Mike Miller bought at the Emperors Palace Ready To Run Sale on Sunday. Part-owner Michel Nairac, the CEO of Gold Circle, was over the moon with Smangaliso’s victory, which happened on his birthday. He wasn’t on course to cheer her home as he was attending the wedding of the son of Gold Circle director, Moga Pillay. Michel Nairac’s fine weekend was enhanced when another of his horses, Lizard’s Lust, won at Scottsville on Sunday. He has always had luck at the Ready To Run Sale from which, as a bloodstock agent, he selected such horses as Respectable, Golden Words and Young Harvest. He owned Young Harvest, who went on to win the Grade I Gilbey’s Stakes (today the Golden Horse Casino Sprint). The other owners of Smangaliso, the Baron and Baroness of Bergsma, were out on holiday from the UK and were there to lead Smangaliso in. Mike Miller and his wife Rae also have a share. Summerveld almost had cause for a double celebration after the Craig Eudey-trained Thandolwami flew home and only just failed to win the Grade 2 R600 000 November Handicap. Thandolwami arrived back at Summerveld on Sunday morning and Craig Eudey said that the four-year-old Woodborough gelding would have three or four days rest before preparations for the Grade 1 Summer Cup over 2000m on the same Turffontein standside course would begin. Craig Eudey said that Thandolwami had come back from his recent rest a more relaxed horse and would prefer the 2000m trip. Economic crisis? What crisis. Bucking the recent trend in international bloodstock markets, all predictions of an expected slump came to naught when previous records crashed by the wayside at Sunday’s sensational Emperors Palace Ready-To-Run Sale. Racing South Africa reports that the aggregate of R25,85 million reflected a staggering 52% increase on last year’s figure of R16,965 million, while the average price of R174,662 rose by almost 34% from R130,500 in 2007. History was made when no less than 3 lots broke through the magical million rand barrier. The record price of R900,000 set for a colt by Hawk Wing at last year’s sale was made to look like small change when Cape trainer Basil Marcus outlayed R2,2-million for a stunning colt by Rock Of Gibraltar (Lot 121 MATAMBO), sire also of Mike de Kock’s Breeders Cup Turf runner-up Eagle Mountain. Offered by champion breeders Summerhill, the November-foaled bay, boasts a pedigree page saturated with North American black-type. He is the first foal of an unraced half-sister to American Gr.3 winner Erica’s Dream and Listed winner Twosies Answer, the dam of 1998 champion 2yo colt and Breeders’ Cup Juvenile winner, Answer Lively. The colt’s grandam Lady’s Answer is a half-sister to multiple Gr.3 winner Briarctic, one of the most successful stallions to stand in Canada. Summerhill Stud sold eight of the top ten lots, and once again, their Australian-bred imports were keenly pursued. INSASA, a daughter of English champion sire elect Galileo (Lot 26) set the sales ring abuzz early, registering a final bid of R1,5-million bid from trainer Michael Azzie. The filly’s attraction undoubtedly lies in the fact that her dam is a half-sister to the stud’s exciting young stallion Way West, while her third dam is the accomplished Annoconnor, a triple Gr.1 winning daughter of Nureyev and half-sister to Melbourne Cup hero At Talaq. Summerhill’s smart colt Mahubo (Lot 96), a National Emblem half-brother to dual Gr.2 winner Imbongi and Gr.3 winner Spring Garland, was another to find favour with the buyers and when the gavel came down at R900,000, the name on the docket was that of trainer Herman Brown Jnr’s B&B Racing. Graham Beck’s Highlands Farms Stud celebrated its debut at this sale when its Spectrum colt Tap Tempo (Lot 23) reached a final bid of R600,000 from trainer Charles Laird. The colt is out of a West Man half-sister to champion juvenile filly Forward Filly and Gr.3 winner Golden Tulip. Basil Marcus emerged as the top buyer at the sale by aggregate. The former jockey and now top trainer and his clients invested R3,12- million at an average of R520,000 for six lots. This average was marginally bettered by trainer Charles Laird (R540 000, 4 lots), which made him the top buyer by average. Charles Laird’s most expensive purchase was the Muhtafal colt Blue Voyager (Lot 53), which was knocked down at an even million, the third highest price of the sale. Summerhill’s Kahal was the top sire by aggregate, with 17 two-year-olds selling for R2,865-million, headed by the filly Fisani (Lot 101) at R400,000. The brown miss is a half-sister to Gr.1-placed Catmandu and stakesplaced Ecole Militaire and hails from the female family of 2006 English Derby winner Sir Percy. Foreigners were once again active at the sale and Bloodstock South Africa entertained buyers from Hong Kong and even Turkey. Turkish businessman Fedai Kahraman, who spent almost a R million in 2007, purchased Highlands Farms’ Spectrum colt Snow Special (Lot 123) for R280,000. Charl Pretorius www.freeracer.co.zaThe 2008 Emperors Ready To Run Sale turned over an incredible all-time record R25.85 million at the TBA Sales Complex, Gosforth Park, on Sunday. This brought to an unexpectedly climactic close, another terrific year for Bloodstock South Africa. The staggering one-day aggregate is 48.3% up on the record figure of 2007 and the average of R174 622 is up 38.2%. The highest price of R2,2 million was paid by Basil Marcus Racing Stables for MATAMBO (Lot 121) , a son of international boom sire Rock Of Gibraltar. Basil Marcus was the top buyer at the sale by aggregate. 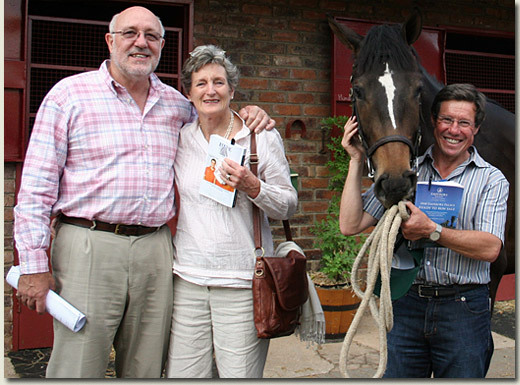 The former jockey and now top trainer and his clients, Denis and Gail Evans, invested R3,12 million at an average of R520 000 for six foals. This average was marginally bettered by trainer Charles Laird (R540 000, 4 lots), which made him the top buyer by average. Summerhill’s Kahal, with 17 two-year-olds sold for R2,865 million, was the top sire by aggregate, closely followed by his Mooi River “stablemate’’ Muhtafal with R2,81 million for 11 lots. Saturday’s Emperors Palace Ready to Run Cup was a triumph not only for the event itself, but also for the Summerhill draft of horses from last year’s sale, and for resident stallion KAHAL. In the event, SMANGALISO’s (by Kahal) inspiring win finally put a nail in the coffin of the argument that the fillies were not up to competing with the colts at the weights, particularly as she was joined in her spectacular feat by two other fillies in the first five. For the record, when it came to doling out the cash, Summerhill horses occupied 8 of the top 10 places in that race, rounding out a great week for the farm-breds, as BATTLESTAR EXPRESS (by Muhtafal), trained by Karen Anthony, rolled home under a confident Anton Marcus in the Golden Loom Sprint (L) and THANDOLWAMI produced his lifetime best, with a flying second for Craig Eudey in the R600,000 Charity Mile (Gr2). Oh, and let’s not forget there was another argument finally put to rest in the “Cup”, and that was the question of the impact of altitude. For the second year running, a KZN-trained horse took the spoils for Mike Miller, Baron and Baroness Bergsma and Gold Circle Chairman, Michele Nairac. No doubt the latter will have some satisfaction in picking up such a fat cheque from Phumelela! Sorry, your browser doesn’t support the embedding of multimedia. READY TO RUN SALE : A great chance to secure YOUR CHAMPION! Charl Pretorius www.freeracer.co.zaThe 2008 Emperors Palace Ready To Run Sale at the TBA on Sunday will offer good opportunities for small and big buyers. Mick Goss of Summerhill is expecting a good sale. The secret behind the sale rests in the remarkable number of black-type performers to have emerged from its ranks as well as the fact that the sale is attached exclusively to the fourth richest event on the South African horseracing calendar, Saturday’s R1,25million Emperors Palace Ready To Run Cup. It has long been the chant of South Africa’s champion breeder, Summerhill Stud, that the Ready To Run Sale offers the best value in the world. Distinguished graduates of the sale read like the who’s who of the past season and include 2008 KZN Horse Of The Year Imbongi, recent G1 winners Outcome, Disappear and Desert Links, as well as millionaires Hear The Drums, Emperor Napoleon and Bold Ellinore, and not forgetting Dynamite Mike, Galant Gagnant, Catmandu and Paris Perfect. This year, the Summerhill team is joined for the first time at the sale by previous title-holders Highlands and Maine Chance and the sale includes the last three southern hemisphere-bred progeny of Europe’s champion sire elect Galileo (Lots 26 INSASA, 83 GRAIL MAIDEN and 128 TUCANA). Giant’s Causeway, another prolific producer of international group winners is represented by Paradise Island, Lot 152 from Main Chance, while Australian-based stallion Flying Spur’s son from Bon Cher (Lot 55 BHUSENDE) is a beautiful mover who caught the eye at the Summerhill breeze-ups. There is also an excellent spread of local stallions’ progeny. The six-man Ready to Run panel was unanimous in its praise for Lot 63 MATHAFA, a half brother to GommaGomma Challenge winner Pick Six (by National Emblem), but differed vastly in their other selections, which underlines the depth of the sale. Buyers’ interest will be spread across 166 choice lots which will ensure that value hunters get their slice of the action too. The sale starts at 2pm. 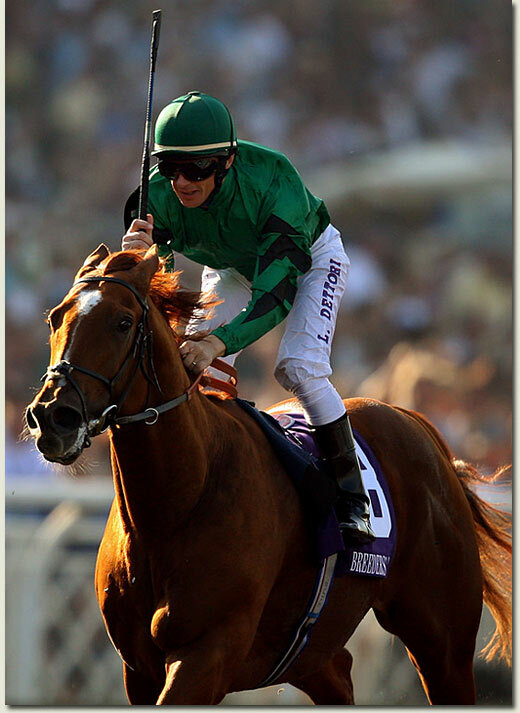 *DVDs of the breeze-ups are available from the TBA offices on request. These can also be viewed on Tellytrack’s re-broadcasts. * Virtually all the vendors at the sale are offering special payment terms to buyers. Details of the payment schemes can be obtained from the TBA offices. *Catalogues are available from the TBA sales complex and on its website www.tba.co.za . Emperors Palace Ready To Run Cup up for the taking! 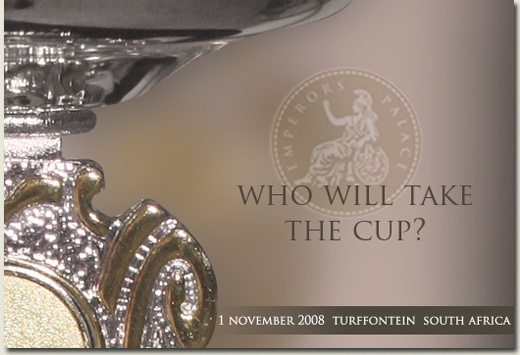 Bookmakers will be waiting until late this afternoon (Friday) before they price up on Saturday’s R1.25 million Emperors Palace Ready To Run Cup over 1400m on Turffontein’s standside track, and with good reason. This year’s field is markedly stronger and more competitive than last year’s inaugural line-up. This is a result not only of the bigger prize pool, but also of greater owner and trainer participation following the success of the inaugural event in 2007. At this time last year Bloodstock SA asked buyers at the Emperors Palace Ready To Run Sale to “tick the box’’ when signing for their purchases. Those who did, qualified their runners for the 2008 Ready To Run Cup at a small levy. This option is again available to buyers who wish to fly from the starting blocks when signing for their new acquisitions at the 2008 renewal of the Sale this Sunday. Prize money will be distributed to the first ten horses past the post in Saturday’s prestigious second running of the Ready To Run Cup. The winning owner/s of what is already South Africa’s fourth-richest race will receive R625 000; the 5th placed horse will chalk up R34 500 and the connections of the 10th horse will pocket R16 000 for their efforts. Trainers interviewed for the race agree that there are no standout bets in the this year’s race and that although the Charles Laird three-time winning Hurricane Force appears to have the best credentials, he is poorly drawn and cannot be considered a “good thing’’ by any means. *To find your Emperors Palace Ready To Run contestant for next year, when prize money will go to at least R1,5 million, visit the Emperors Palace Ready To Run Sale on Sunday 2 November at the TBA Sales Complex, starting at 2pm. READY TO RUN : The CLASH of the Big Cats... tomorrow. 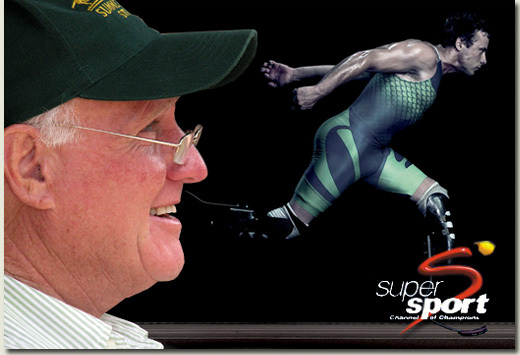 Coming off his appearance on the Winner’s Circle show which goes out at 8:30pm this evening on DSTV SuperSport 1, Mick Goss phoned in to tell us what a lovely guy, triple Olympic Gold medallist Oscar “Blade Runner” Pistorius is. Intelligent, unassuming and extremely decent, “Oz” is one of the host of celebrities who will be attending the Emperors Palace Ready To Run cocktail Party tomorrow evening. Interestingly, he has a long association with the famous Azzie family, now in its third generation of champion trainers. While Springbok Fly-Half Andre Pretorius and World Cup winning coach, Jake White, both celebrities at this year’s race, have interests in horse racing. Oscar has a deep passion for and understanding of horse racing, and he has kindly offered to formally open the Emperors Palace Ready To Run Sale on Sunday, where he’ll be joining the auctioneers on the rostrum. Wherever you look and whoever you listen to, there’s talk of the recession, but that’s not the way things are at the TBA complex in Germiston. Unusually, for a Ready to Run sale, there’ve been a number of “lookers” already, and yesterday morning alone witnessed a liberal sprinkling of serious players. First on the scene this morning was the evergreen Ormond Ferraris, and while nobody is willing to hazard whether he’s nearer to 70 or 80, he waded through the 110 horses in the Summerhill draft like a spring chicken. His back is as erect as it would’ve been the day he left school, and never sought the refuge of a chair or a drink in five and a half hours. Driven when it comes to horses like few people we know, he’s the perfect example that when it comes to the game in the horse business, it’s 10% inspiration and 90% perspiration. Also in the fray was another senior ex-Jockey Club Chairman, Ronnie Napier, surely one of South Africa’s greatest ambassadors. Ronnie’s commitment to the Ready to Run sale springs from IMBONGI, who arrived yesterday morning at Frankfort airport after an uneventful journey on his way to Dubai. Among the younger brigade was eminent racing scribe, Charl Pretorius “sniffing for a good horse for himself and a few partners. Whilst JJ THE JET PLANE’s conditioner, Lucky Houdalakis got through 60 of the draft and still has some more to see. And finally and by no means least, early favourite FAKAZI’s man, Paul Matchett was here with his clients Brian and Hilton burrowing his way through the entire draft. We said finally, but that isn’t the case. As we were penning this note THEKKADY’s owners were rushing their way through a couple of Lots between meetings, intending to return between several more tomorrow. The news from THEKKADY’s trainer, Sean Tarry, at supper last night, was that she’s a filly high on talent and a big runner on Saturday in the Cup, if she doesn’t need a run after her recent trip to Cape Town. The final field has been announced for Saturday’s R1.25 Million Emperors Palace Ready To Run Cup. Celebrities descending upon this year’s Emperors Palace Ready To Run Cup and November Charity Mile include treble gold medal winner at the recent Beijing Paralympics, South Africa’s “Blade Runner” Oscar Pistorius, 2007 Rugby World Cup heroes Percy Montgomery and Jake White, former Miss South Africas Vanessa Carreira and Claudia Henkel, celebrity couple Danny K and Leanne Liebenberg as well as Beijing Olympic silver medallist in the long jump, Godfrey Khotso Mokoena. Other South African celebs to be joining us include Michelle and Riaan Garforth, Neil Andrews, PJ Powers, Malaika, Edith Venter, Liezel van der Westhuizen, David O’Sullivan, Zinzi Mandela, Andre Pretorius, Tammy-Ann Fortuin, Kuli Roberts and Siyabonga Ngwekazi, as well as a bevy of gorgeous FHM models. Connections of the Ready To Run graduates entered into the R1.25million Emperors Palace Ready To Run Cup will mingle with the stars on Friday evening at the Ready To Run Cocktail Party, taking place at Emperors Palace. Autograph sessions will be held during Race Day on Saturday and Turffontein racegoers will have the opportunity to meet their favourite celebrities face to face. One thing’s for certain. With the “Best Value Thoroughbred Sale in the World” following on Sunday, it’s going to be one helluva weekend! A record entry of 41 nominations has been received for the “buzziest” race on the calendar. There were 102 subscriptions for the race following last year’s Ready to Run Sale, and not far short of half of these have made the entry stage. This is a marvellous response to a sale which is billed as offering “the best odds in the World”, and of getting a run for a stake of this sort. The connections of these horses will be gathering on Friday evening at Emperors Palace to meet the celebrities, all of whom are household names of South African society. 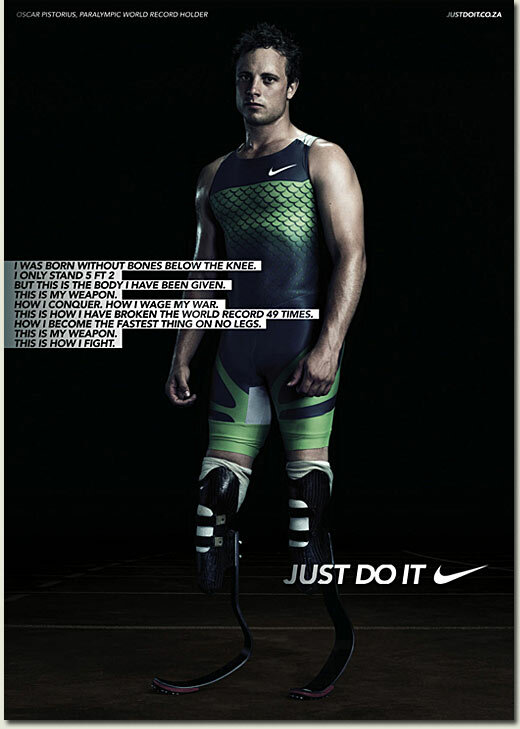 As a teaser we mention a few Percy Montgomery, Jake White, Oscar Pistorius and many more. The Americans have dubbed it the World Championship, and this weekend they dubbed the Breeders’ Cup Classic as “CURLIN versus the World”. The race failed to live up to its billing as far as the CURLIN factor was concerned, but what it did highlight was the remarkable strength in depth of this year’s European three-year-olds. Princess Haya’s RAVEN’S PASS (ELUSIVE QUALITY) showed continued improvement as he strode away from his early season’s nemesis HENRYTHENAVIGATOR (KINGMAMBO) in convincing fashion. The two were meeting for the fifth time this season with ”HENRY” taking the last three, and RAVEN’S PASS the two most recent of their renewals. In another highlight of the meeting, Summerhill stalwart Sheikh Mohammed bin Khalifa al Maktoum must’ve been delighted with the runner-up effort of EAGLE MOUNTAIN (ROCK OF GIBRALTAR), who was having only his second seasonal start for Mike de Kock in a race in which the tables with CONDUIT (DALAKHANI) might have been turned, if “the EAGLE” had enjoyed the benefit of one more race in his preparation. Nonetheless the Sheikh will be consoled by the fact that Mike de Kock’s charge’s appearance will be set for a tilt at Dubai’s $5 million Group One, Sheema Classic. From a Summerhill perspective, events at Longchamps in the Prix Royal Oak (Group One) will have warmed the hearts of the men in our stallion barn as SOLSKJAER’s brother YEATS, notched up his seventh Group One and fourteenth career victory, by one and a half lengths. EAGLE MOUNTAIN’s big showing on the turf will be encouraging news to those that have their eyes on Summerhill’s ROCK OF GIBRALTER juvenile colt, as he goes to under the hammer at the Emperors Palace Ready to Run Sale, at Gosforth Park on Sunday.